The IIC is MIT’s premier future of work prize, awarding $1.6 million annually to entrepreneurs using technology to create economic opportunity for workers. We collaborate with like-minded organizations in five regions to select and celebrate sixty Regional Finalists from across the globe. Twenty Regional Winners proceed to MIT where four Global Grand Prize Winners each win $250,000 and world-wide recognition. The IIC awards over one million dollars in prizes to future of work entrepreneurs in four categories that holistically represent the solution types necessary to build an economy that works for all in the digital era. 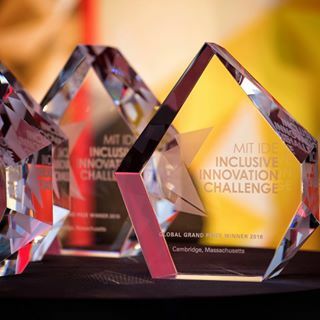 MIT seeks start-ups and entrepreneurial organizations of any age, size, or type (for-profit or non-profit), located anywhere in the world that are creating economic opportunity for moderate and low income earners. Q. Does your organization’s use of technology substantially improve economic prosperity for working people? Q. Is your organization beyond the “idea phase,” already impacting and enhancing shared prosperity right now? Q. Will your organization’s solution impact more people and increase in effectiveness over time? MIT wants you to apply! All valid applications are reviewed by Judges in their respective region, and the top-scoring 60 Regional Finalists proceed to regional celebrations, where they pitch their solutions to a live audience.